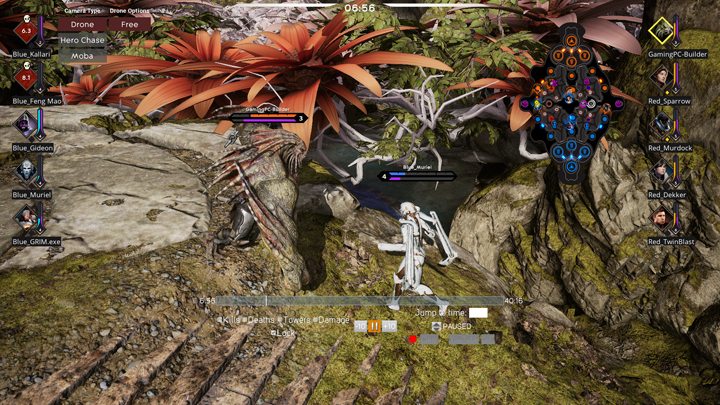 Paragon – a new MOBA Game from Epic Games powered by Unreal Engine 4 – is now in Open Beta. 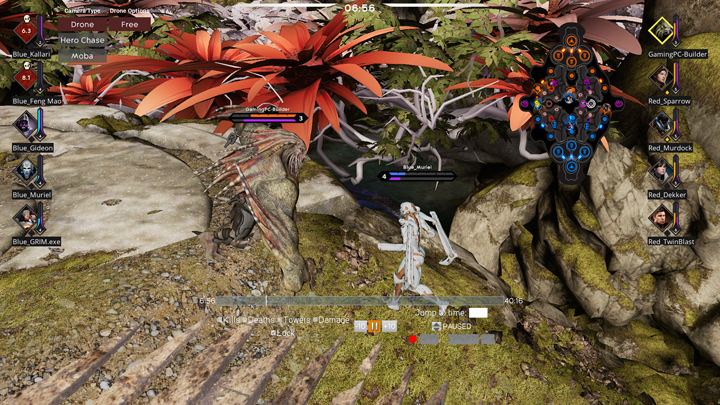 Paragon is very different from your traditional MOBA games like DOTA 2 or League of Legends. It uses the third-person above- the-shoulder view instead of top-down or RTS view. It also uses cards and decks instead of items, and some other customization and in-game mechanics. By using Unreal Engine 4, Paragon has the best graphics among MOBA games, making this game an interesting benchmarking subject. Our test system is above the minimum requirement and barely matched the recommended system, failing only on the video card required. One thing that got my attention is the Radeon HD 6870 as the minimum required video card, it has 1GB of DDR5 video memory and 256-bit of memory bus width, which I believed is too high for minimum graphics. From Lowest to Low, you will see better terrain and little detail improvements on heroes. 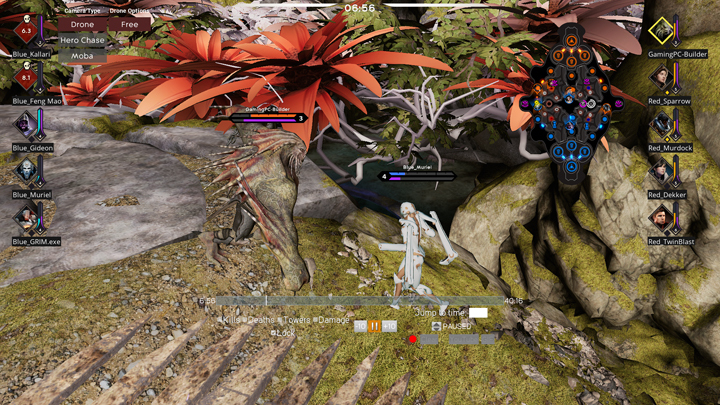 Jumping into Medium, you will now see shadows, better terrain, better textures, and additional details on heroes and environment (leaves, rocks). Moving up to High only enhances the shadows and adds ambient occlusion. Epic preset will only improve the lighting from High preset. 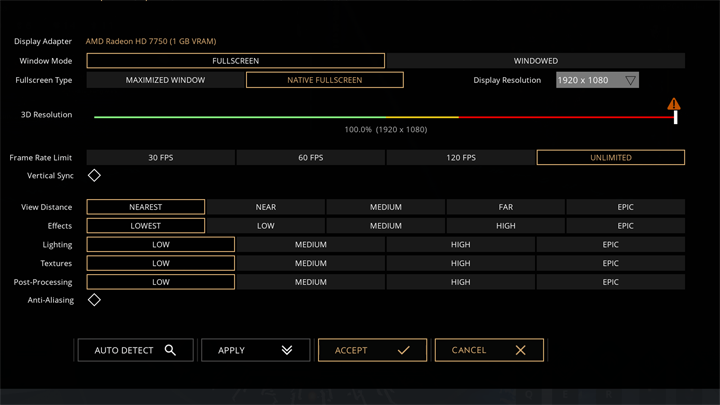 With our test system, Paragon is only playable on Lowest and Low settings, averaging with 65 and 49 frames per second, respectively. Playing on higher settings is an impossibility, averaging 17 fps on medium; 15 on high, and 11 on epic with occasional stuttering that is why it has 0 fps as minimum fps. 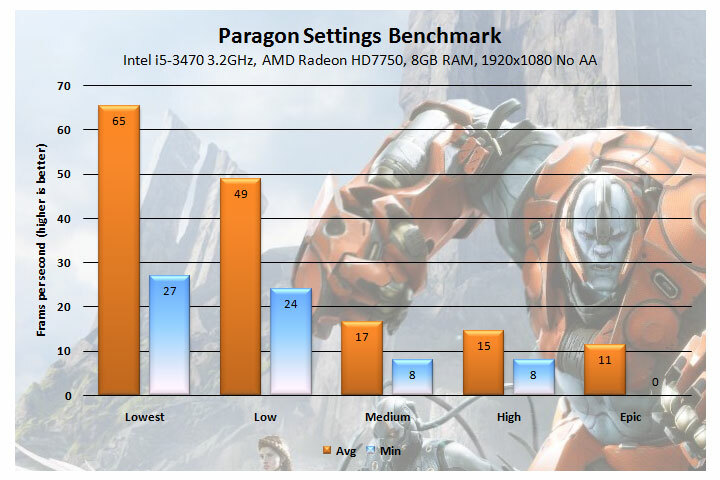 The results show that the minimum required video card Radeon HD 6870 is too high and you can play Paragon with lower video card. We played Paragon at medium settings before getting the screenshots of GPU, CPU, and memory usage. At medium settings, the game or the engine used the full power of Radeon HD 7750, reaching 100% GPU utilization. It also used more than 900MB of dedicated video memory and almost 400MB of shared memory – making the 1GB of video memory insufficient and we suspected this is the reason behind the massive 30 fps drop from low to medium settings. 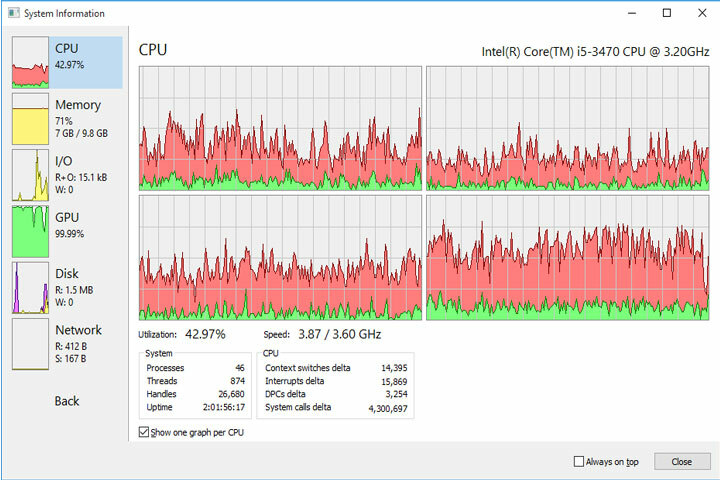 The CPU utilization is a little disappointing, using only up to 50% of the i5. 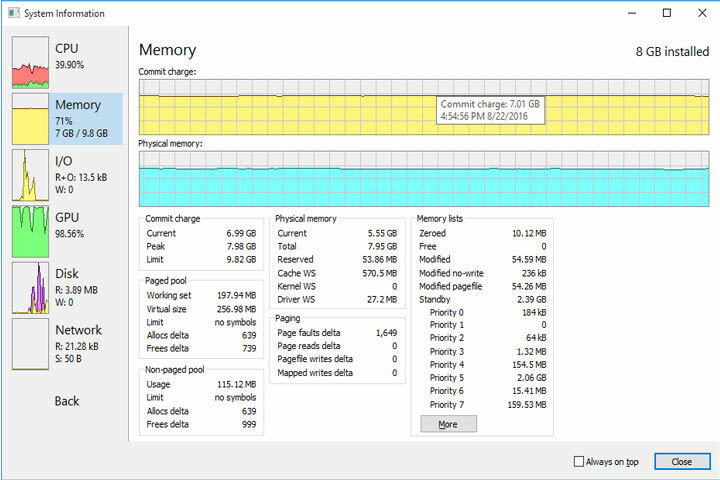 Though all the cores were used, only one of the cores reached 60%, and the rest were below 50%. Maybe an Intel i3 is the appropriate minimum required processor. 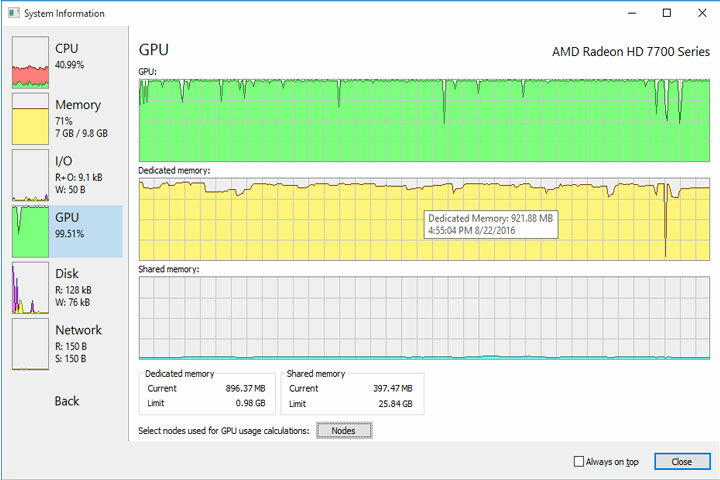 In terms of system memory usage, Paragon used up to 4.9GB of Private Bytes and 272MB for the Epic Games Launcher. 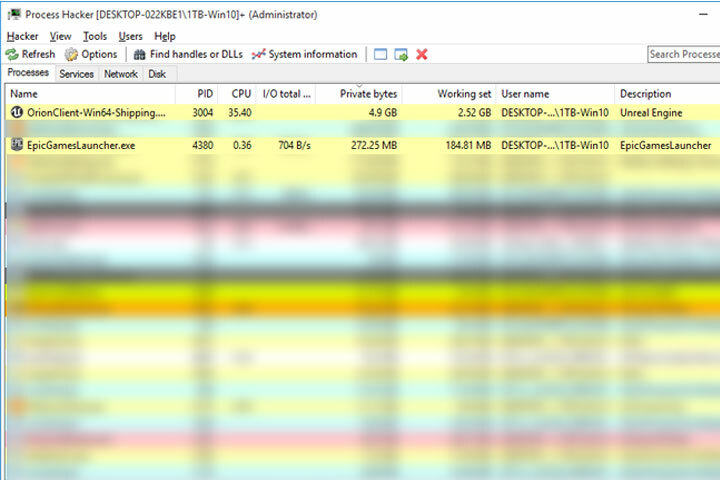 Upon looking at the Physical Memory usage, the total memory used of the system reached 5.55GB. Below are the videos of our benchmarking sequence. We picked the sequence with more units, more fighting and explosions to stress the system. We used a digital video camera to record the benchmarking sequence to capture the real and actual gameplay performance. Recording the gameplay with software uses system resources and decreases the frame per second, thus failing to get the actual and real gameplay performance. Paragon is still in beta, so we expect more improvements until the final game comes out. We also expect they will change or revise the minimum system requirements to prevent potential players to have a wrong idea or impression that they will not be able to play this game.